The time has come for the temperature to drop, decadent smells to waft through the air, and eyes become tired and bloodshot. Yep, it’s exam week here at Duke! As students fill up every room, desk and floor within the libraries, the Digital Collections team is working diligently to process important projects. There were several stories about students’ worst nightmares coming true, including one Physical Therapy graduate student who lost her research to a Greyhound bus, and an undergraduate dumpster diving to find an accidentally thrown away notebook, which encompassed his final paper. A junior lamented whether it was worth it to drive 12 hours to his home in Florida, or take a plane after a previous debacle in the air; he drove home with no regrets. In a satirical column, advice was given on how to survive exams. Two excellent gems suggested using an air horn instead of screaming and staking out a study carrel, in order to sell it to the highest bidder. This is merely a sprinkling of hilarious yet simultaneously horrifying anecdotes from that time-period. 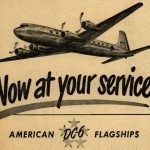 Digital collections, originally located on the old Digital Collections website, now have new pages on the Repository website with a direct link to the content on the old website. In addition to The Chronicle, Emma Goldman Papers, and other new projects, there is a continued push to make already digitized collections accessible on the Repository platform. Collections like Behind the Veil, Duke Papyrus Archive, and AdViews were originally placed on our old Digital Collections platform. However, the need to provide access is just as relevant today as when they were originally digitized. As amazing as our current collections in the Repository are, we have some treasures from the past that must be brought forward. 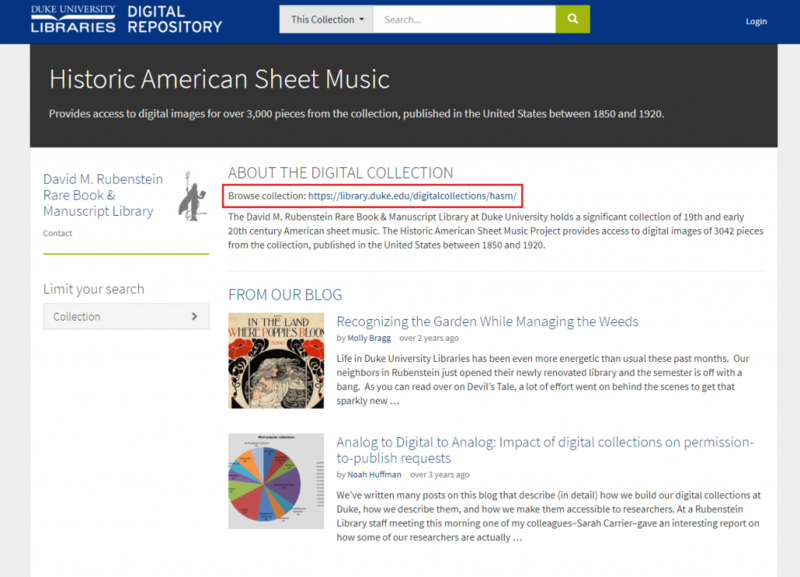 Accordingly, many of these older digital collections now possess new records in the Repository! As of now, the new Repository pages will not have the collections’ content, but they will provide a link to enable direct access. The new pages will facilitate exposure to new researchers, while permitting previous researchers to use the same features previously allowed on the old platform. There are brief descriptions, direct links to the collections, and access to any applicable finding aids on the Repository landing pages. Now that the semester has wound down to a semi-quiet lull of fattening foods, awkward but friendly functions, and mental recuperation, I urge everyone to take a moment to not just look at what was done, but all the good work you are planning to do. Based on what I’ve observed so far, I’m looking forward to the new projects that Digital Collections will be bringing to the table for the Duke community next year. Kueber, G. (1991). Beginning of exams signals end of a Monday, Monday era. The Duke Chronicle, p. 26. Robbins, M. (1991). Driving or crying: is air travel during the holidays worth it? 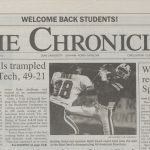 The Duke Chronicle, p. 13. The Duke Chronicle. (1991). The Ultimate Academic Nightmares – and you thought you were going to have a bad week! pp. 4-5. Life in Duke University Libraries has been even more energetic than usual these past months. Our neighbors in Rubenstein just opened their newly renovated library and the semester is off with a bang. As you can read over on Devil’s Tale, a lot of effort went on behind the scenes to get that sparkly new building ready for the public. In following that theme, today I am sharing some thoughts on how producing digital collections both blesses and curses my perspective on our finished products. When I write a Bitstreams post, I look for ideas in my calendar and to-do list to find news and projects to share. This week I considered writing about “Ben”, those prints/negs/spreadsheets, and some resurrected proposals I’ve been fostering (don’t worry, these labels shouldn’t make sense to you). I also turned to my list of favorite items in our digital collections; these are items I find particularly evocative and inspiring. 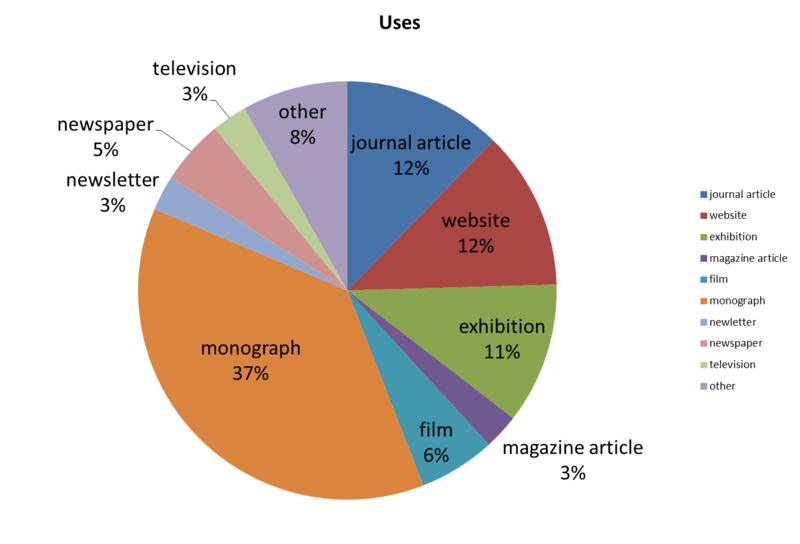 While reviewing my favorites with my possible topics in mind (Ben, prints/negs/spreadsheets, etc), I was struck by how differently patrons and researchers must relate to Duke Digital Collections than I do. Where they see a polished finished product, I see the result of a series of complicated tasks I both adore and would sometimes prefer to disregard. Let me back up and say that my first experience with Duke digital collections projects isn’t always about content or proper names. Someone comes to me with an idea and of course I want to know about the significance of the content, but from there I need to know what format? How many items? Is the collection processed? What kind of descriptive data is available? Do you have a student to loan me? My mind starts spinning with logistics logistics logistics. These details take on a life of their own separate from the significant content at hand. As a project takes off, I come to know a collection by its details, the web of relationships I build to complete the project, and the occasional nickname. Lets look at a few examples. There are so many Gedney favorites to choose from, here is just one of mine. Parts of this collection are published, but we are expanding and improving the online collection dramatically. What the public sees: poignant and powerful images of everyday life in an array of settings (Brooklyn, India, San Francisco, Rural Kentucky, and others). What I see: 50,000 items in lots of formats; this project could take over DPC photographic digitization resources, all publication resources, all my meetings, all my emails, and all my thoughts (I may be over dramatizing here just a smidge). When it all comes together, it will be amazing. We have just begun working with this collection, but the Devil’s Tale blog recently shared a sneak preview. What people will see: letters to and from fellow founding fathers including Thomas Jefferson (Benjamin Rush signed the Declaration of Independence), as well as important historical medical accounts of a Yellow Fever outbreak in 1793. What I see: Ben or when I’m really feeling it, Benny. We are going to test out an amazing new workflow between ArchivesSpace and DPC digitization guides with Ben. Mangum’s negatives show a diverse range of subjects. I highly recommend his exterior images as well. This collection of photographs was published in 2008. 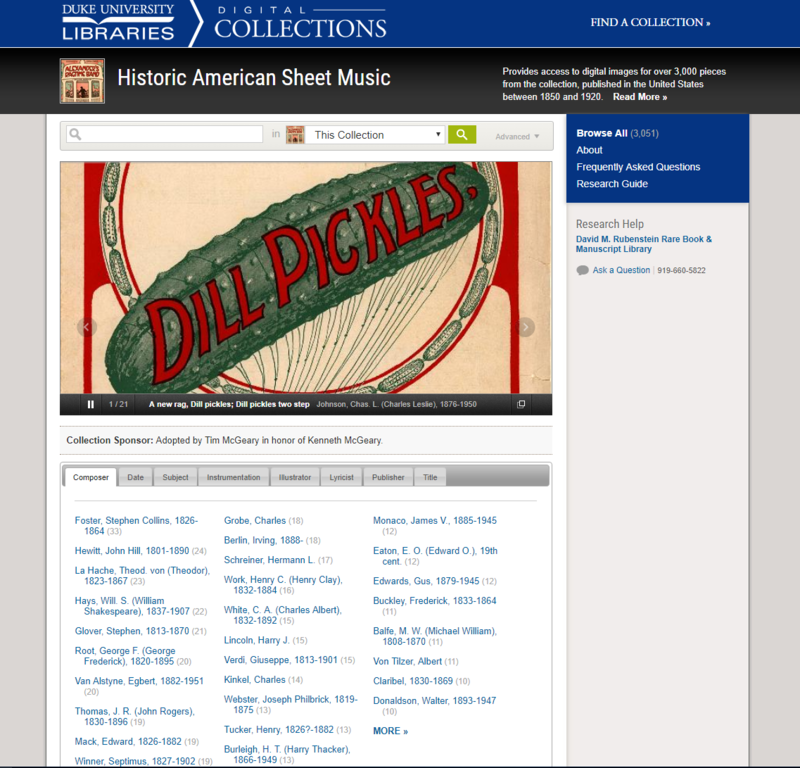 Since then we have added more images to it, and enhanced portions of the collection’s metadata. What others see: a striking portfolio of a Southern itinerant photographer’s portraits featuring a diverse range of people. Mangum also had a studio in Durham at the beginning of his career. What I see: HMP. HMP is the identifier for the collection included in every URL, which I always have to remind myself when I’m checking stats or typing in the URL (at first I think it should be Mangum). HMP is sneaky, because every now and then the popularity of this collection spikes. I really want more people to get to know HMP. They may not be orphans but they are “cave children”. The orphans are not literal children, but they come in all size and shapes, and span multiple collections. What the public sees: the public doesn’t see these projects. What I see: orphans – plain and simple. The orphans are projects that started, but then for whatever reason didn’t finish. 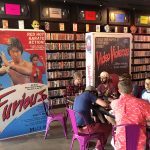 They have complicated rights, metadata, formats, or other problems that prevent them from making it through our production pipeline. These issues tend to be well beyond my control, and yet I periodically pull out my list of orphans to see if their time has come. I feel an extra special thrill of victory when we are able to complete an orphan project; the Greek Manuscripts are a good example. I have my sights set on a few others currently, but do not want to divulge details here for fear of jinxing the situation. 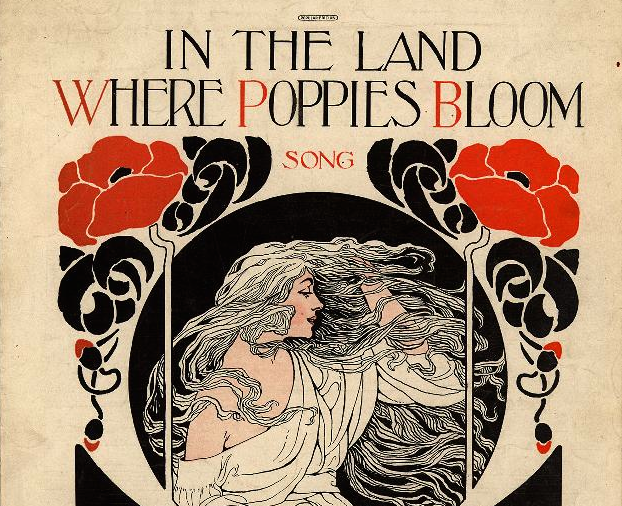 Don’t we all want to be in a digital collections land where the poppies bloom? I could go on and on about how the logistics of each project shapes and re-shapes my perspective of it. My point is that it is easy to temporarily lose sight of the digital collections garden given how entrenched (and even lost at times) we are in the weeds. For my part, when I feel like the logistics of my projects are overwhelming, I go back to my favorites folder and remind myself of the beauty and impact of the digital artifacts we share with the world. I hope the public enjoys them as much as I do. We’ve written many posts on this blog that describe (in detail) how we build our digital collections at Duke, how we describe them, and how we make them accessible to researchers. At a Rubenstein Library staff meeting this morning one of my colleagues–Sarah Carrier–gave an interesting report on how some of our researchers are actually using our digital collections. Sarah’s report focused specifically on permission-to-publish requests, that is, cases where researchers requested permission from the library to publish reproductions of materials in our collection in scholarly monographs, journal articles, exhibits, websites, documentaries, and any number of other creative works. To be clear, Sarah examined all of these requests, not just those involving digital collections. 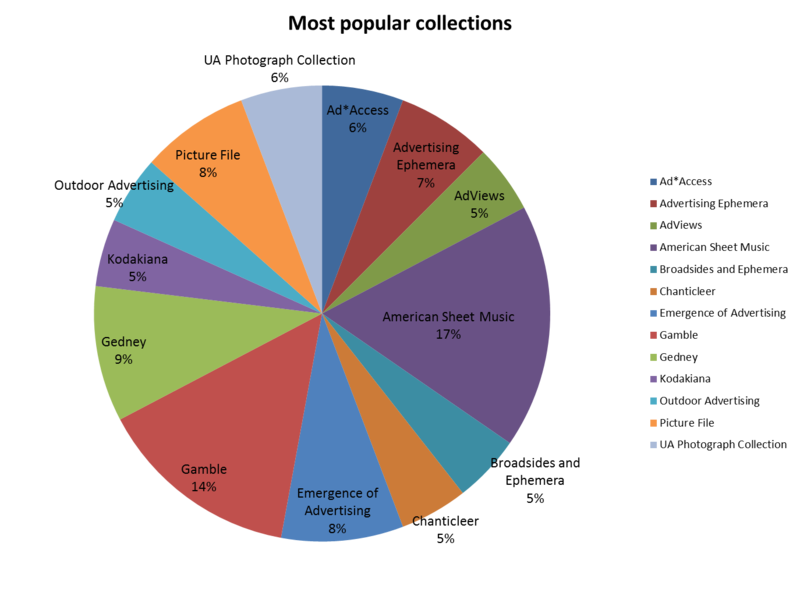 Below is a chart showing the distribution of the types of publication uses. So, even though we’ve only digitized a small fraction of the Rubenstein’s holdings (probably less than 1%), it is this 1% that generates the overwhelming majority of permission-to-publish requests. I find this stat both encouraging and discouraging at the same time. On one hand, it’s great to see that folks are finding our digital collections and using them in their publications or other creative output. On the other hand, it’s frightening to think that the remainder of our amazing but yet-to-be digitized collections are rarely if ever used in publications, exhibits, and websites. I’m not suggesting that researchers aren’t using un-digitized materials. They certainly are, in record numbers. More patrons are visiting our reading room than ever before. So how do we explain these numbers? Perhaps research and publication are really two separate processes. Imagine you’ve just written a 400 page monograph on the evolution of popular song in America, you probably just want to sit down at your computer, fire up your web browser, and do a Google Image Search for “historic sheet music” to find some cool images to illustrate your book. Maybe I’m wrong, but if I’m not, we’ve got you covered. After it’s published, send us a hard copy. We’ll add it to the collection and maybe we’ll even digitize it someday.